Our first thought was: tarragon salad? Isn’t that a lot of tarragon? We americains had never featured the herb as a main ingredient; we knew it only as a complimentary flavor, an interest-piece used sparingly. We certainly had never seen it in the robust bunches that Noemie had found at the market that morning. To our surprise, the tarragon salad was none too strong: it had a mild, but flavorful taste in its simple dressing. 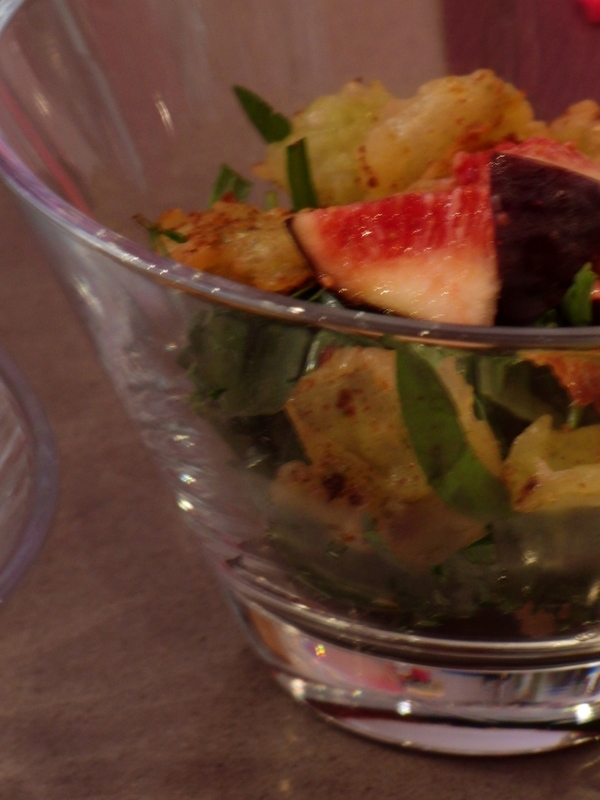 The plump figs provided a delicate sweetness and smooth texture while the crispy ravioles offered a satisfying crunch. 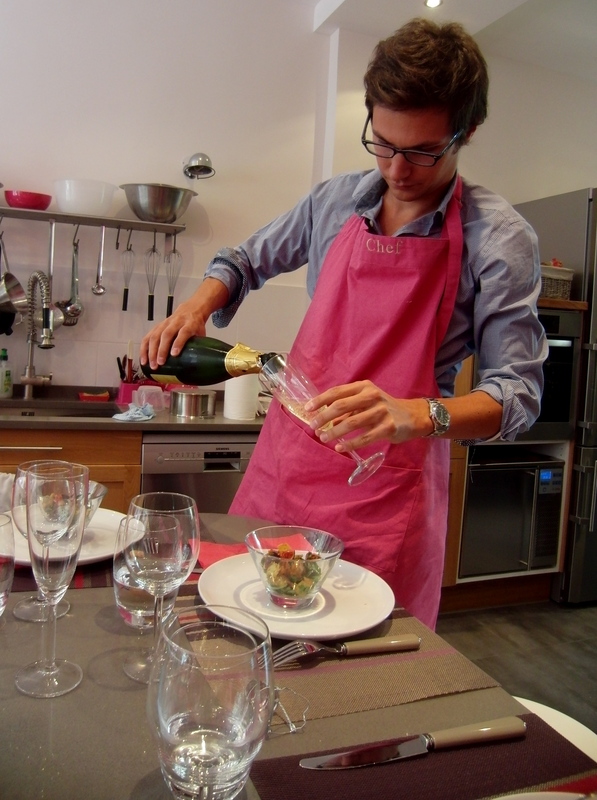 Another artistic, lovingly crafted plate in Noemie’s stunning kitchen on Rue Nollet in Paris’ 17th. horizontally. Set them aside. 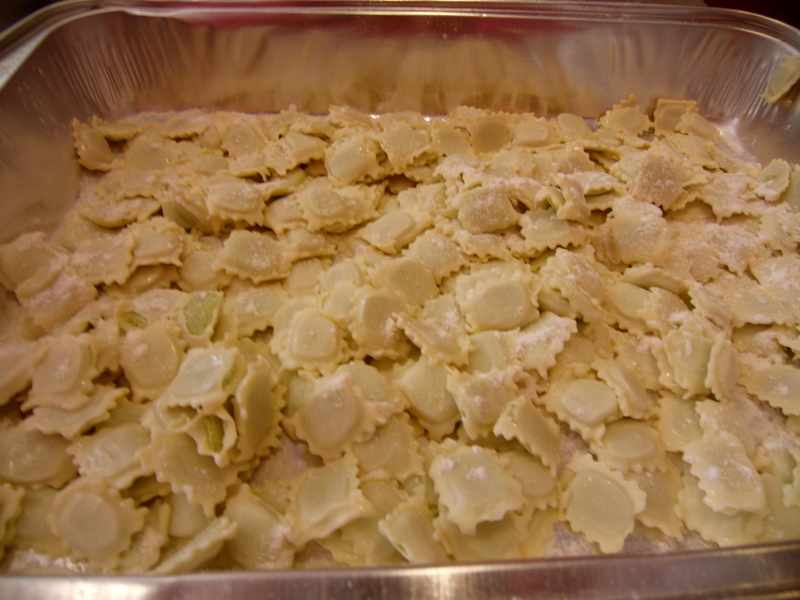 Cut the frozen ravioles and toss them gently with the flour. Using a wok (or you can make do with a regular frying pan), bring the sunflower oil to a boil. Fry the ravioles a few at a time, removing them after about a minute or until they are cooked through. Place them on absorbent paper towels when you remove from the oil. 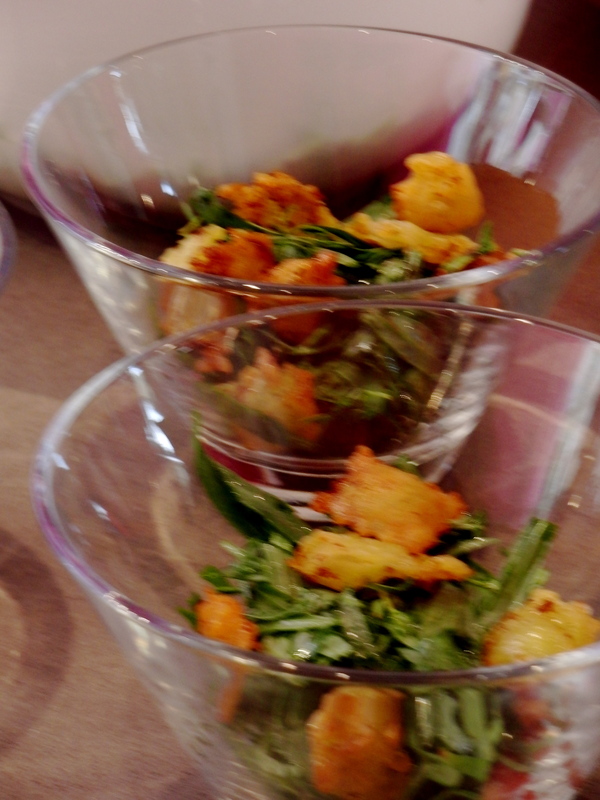 Prepare the salad dressing by whisking together the balsamic vinegar and hazelnut oil and creating an emulsion. Season with salt and pepper. 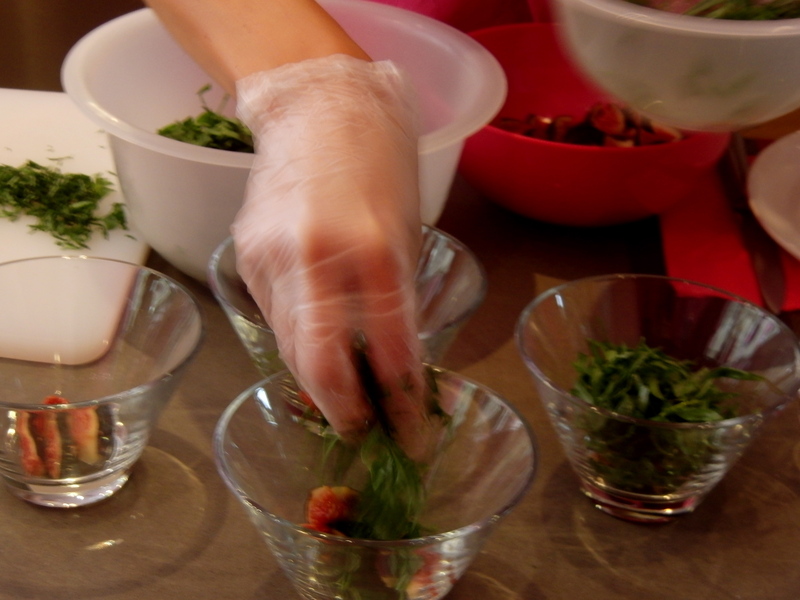 Dress the tarragon leaves in a large bowl before serving. 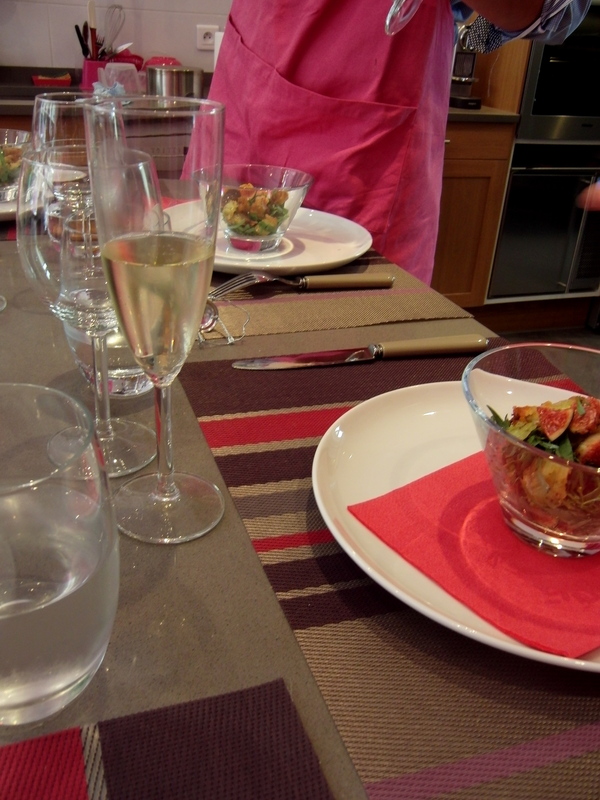 Place the figs in the bottom of a water glass, or in a pretty, small, clear bowl. 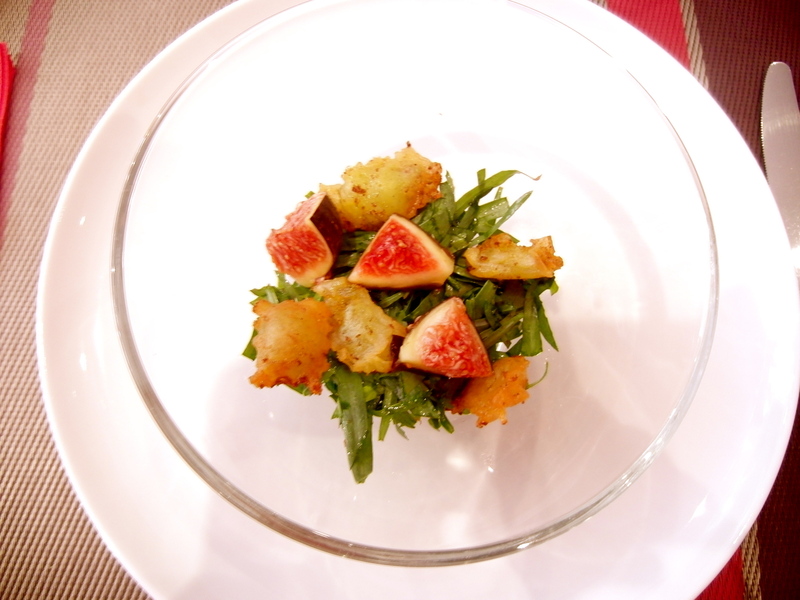 Add the dressed tarragon salad on top of the figs and top with the crispy ravioles. 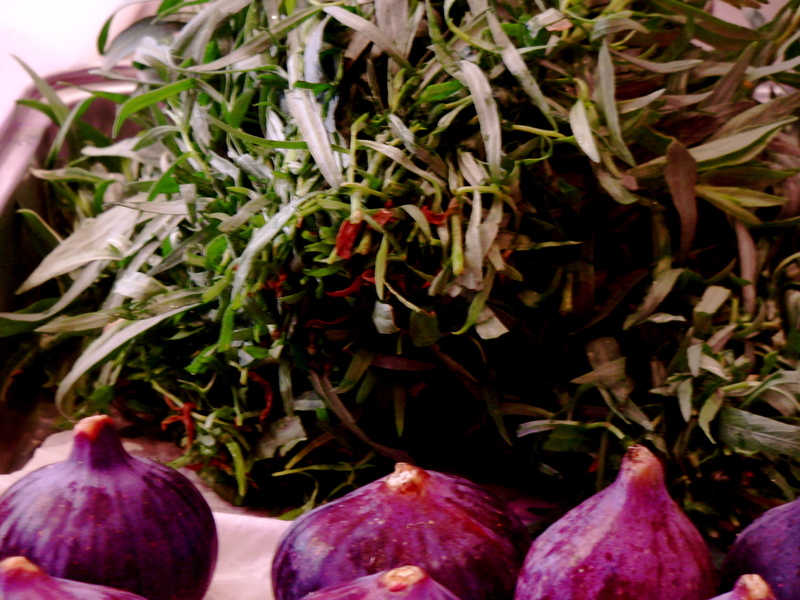 Juicy figs and bundles of tarragon. You just don’t find tarragon bunches like this at your neighborhood Whole Foods! 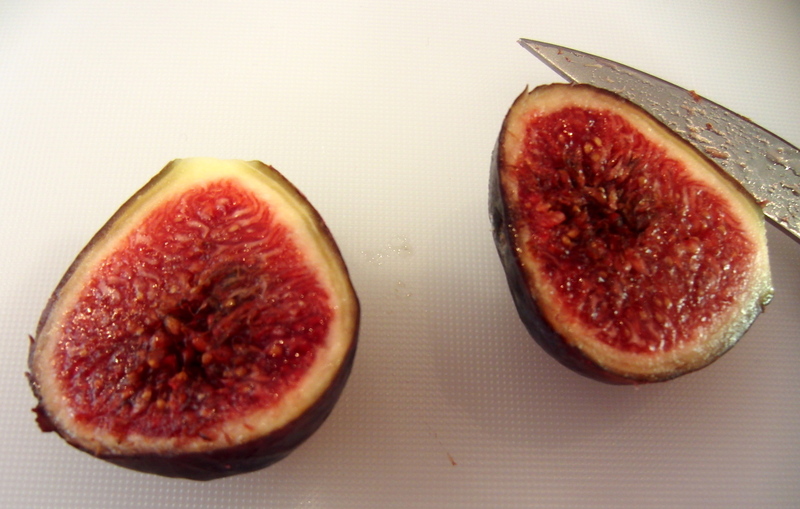 French figs are plump, succulent, and bright red in September. Twinkle, twinkle, little Ravello. Bravura vistas at the highest vantage point of the Amalfi Coast.